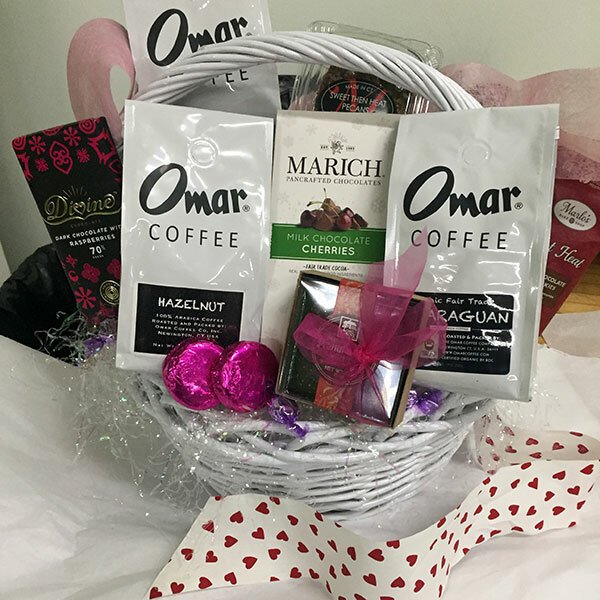 Love is brewing with this deluxe Valentine’s Day gift basket! 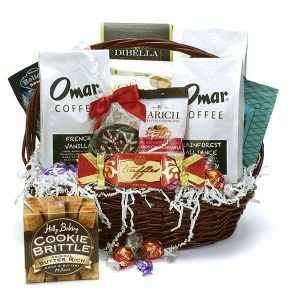 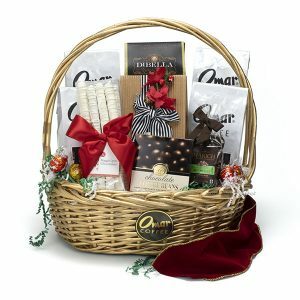 It includes three bags of freshly roasted Omar coffee (one each of Colombian, Salted Caramel Kiss, and Chocolate Cherry) plus milk chocolate cherries, peanut butter melts, a raspberry dark chocolate bar, “Sweet Then Heat” pecans, chocolate-covered Oreo cookies, and hard candies. 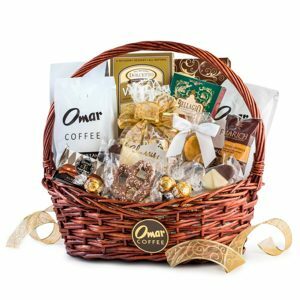 Omar Coffee reserves the right to substitute products of equal or greater value.